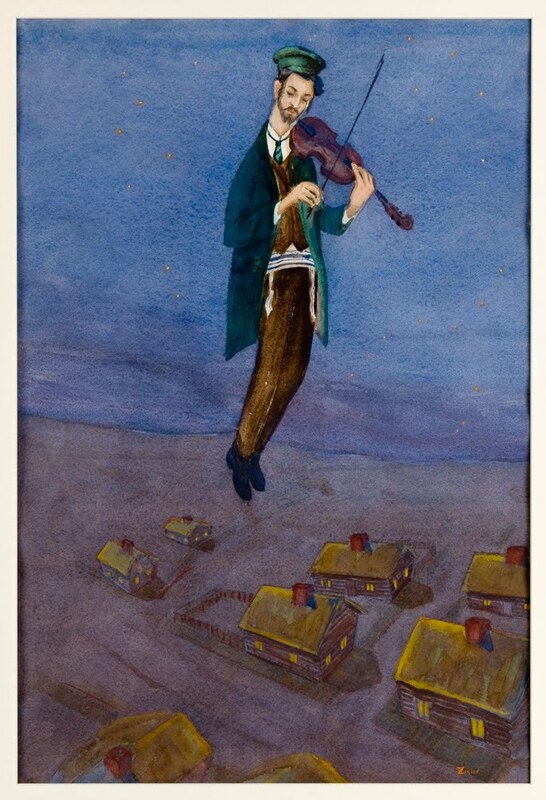 I am now prepared to offer prints of The Fiddler by Si Zigler (1911-69) for $95.00 unframed. The original painting was done in watercolor by my father and several people have expressed an interest in obtaining a print of this piece of work. The print is on high quality archival paper and measures 19"x13". Framed, matted and under glass, The Fiddler print is available for $199.00 and that includes handling and shipping to anywhere in the USA. If anyone is interested in a print, please email me for further instructions, or leave an email address under comments. That's a really beautiful painting. I love night skies AND violins!